Dhaka, Dec 6 : Detectives in a drive arrested Viqarunnisa Noon School and College Class IX class teacher Hasna Hena from the city’s Uttara area on Wednesday night. 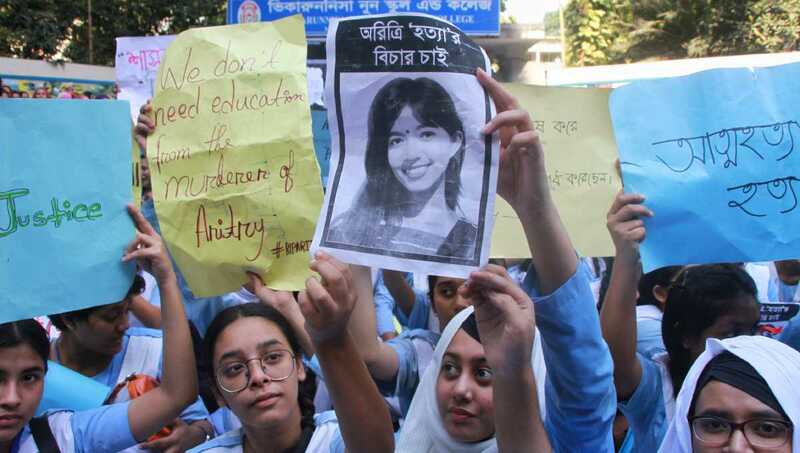 A team of Detective Branch of police arrested the teacher in a case filed on charge of provoking Class IX student of the school Aritree Adhikari to take her own life by humiliating her and her parents on accusation of cheating in an exam. Three teachers — acting Principal Nazneen Ferdous, morning shift in-charge of Bailey Road branch Zeenat Akhter and Aritree’s class teacher Hasna Hena–were suspended following an education ministry order. These actions came hours after the government scrapped “monthly pay order” benefits for the teachers and Education Minister Nurul Islam Nahid instructed the school’s governing body to fire the teachers. Victim’s father Dilip Adhikari filed a case against the three teachers of the school.